The dogs are part of the K-9 Comfort Dog Team, a program run by the Lutheran Church Charities that now has 130 dogs in 23 states across the country. The dogs — all golden retrievers — deploy as part of the organisation’s disaster response team. Each one was picked as a puppy because of its calm demeanour, and each one was specially trained to be gentle, comforting, and affectionate. All do this without barking, jumping, or getting distracted by events and noises around them. met with the staff of Pulse (the nightclub where the shooting occurred), reports The New York Times. 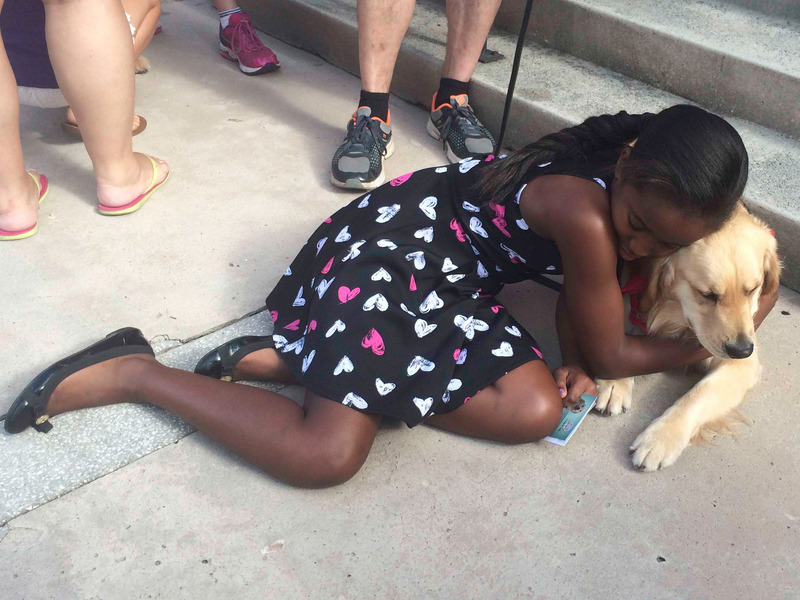 These same dogs were in Boston after the marathon bombing and in Sandy Hook after the elementary school shooting. When there is no national crisis, the dogs work six days a week making the rounds at schools, hospitals, and nursing homes. Numerous studies have shown that dogs are special in their ability to affect human emotions, moods, and stress. Research even suggests that they have biological effects on us by elevating the levels of the hormone Oxytocin, sometimes referred to as “the love hormone,” which plays an important role in attachment forming and bonding. Studies have also shown that petting dogs can help lower people’s heart rates, as well as reduce stress and anxiety. 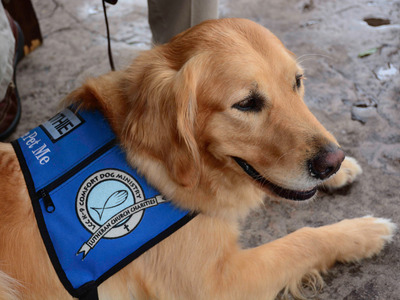 The Americans with Disabilities Act does not necessarily consider comfort dogs (or emotional support dogs) to be service dogs. Still, psychologists, psychiatrists, and doctors have used and continue to use dogs with patients because evidence shows canines can help reduce feelings of depression, as well as symptoms of post-traumatic stress disorder in veterans and survivors of childhood abuse.